Check out the latest Vegan Cuts Beauty Box Spoilers on My Subscription Addiction! 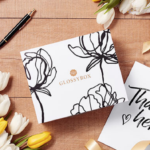 Vegan Cuts Makeup Box – Spring 2019 Spoilers! Vegan Cuts Makeup Box – Winter 2018 FULL Spoilers! Vegan Cuts Makeup Box – Winter 2018 Spoilers!